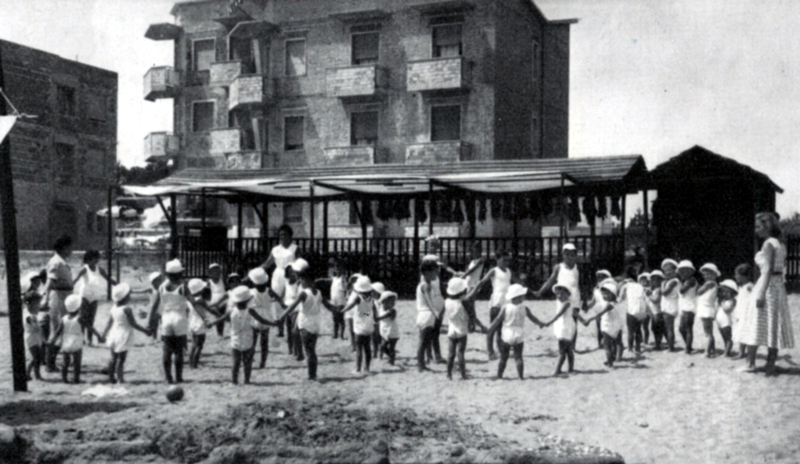 First opened at the turn of the 19th century as care homes for impoverished children, the holiday camps in Italy later started being established in proximity to the beach or up in the mountains, providing the children with recreational activities. A century later (under the Fascist regime) the holiday camps saw their biggest expansion, maintaining their original aim of supporting struggling families, while getting children and teenagers involved in sporting and recreational activities. After the Second World War, the potential educational impact of the holiday camps on their young guests was finally more widely recognised. 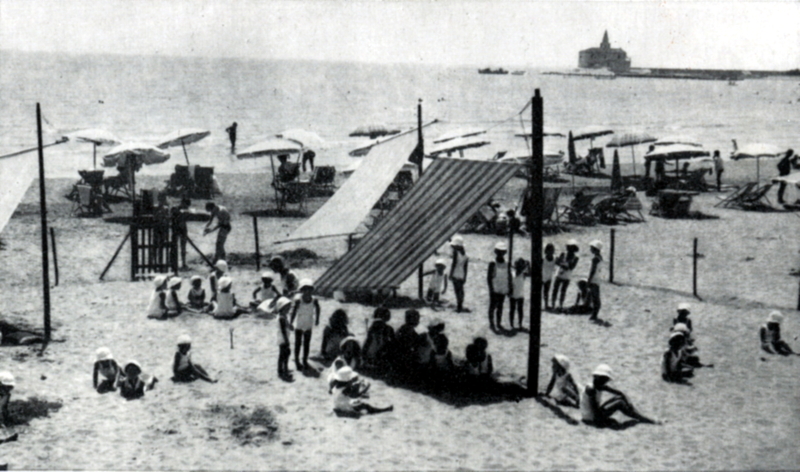 Alongside public bodies, many private companies also set up summer holiday camps for the children of their employees. Such was the case for the holiday camp at Ca’ Corniani, a Generali-owned agricultural estate in Caorle, in the province of Venice, which today is one of Genagricola’s most important business concern. 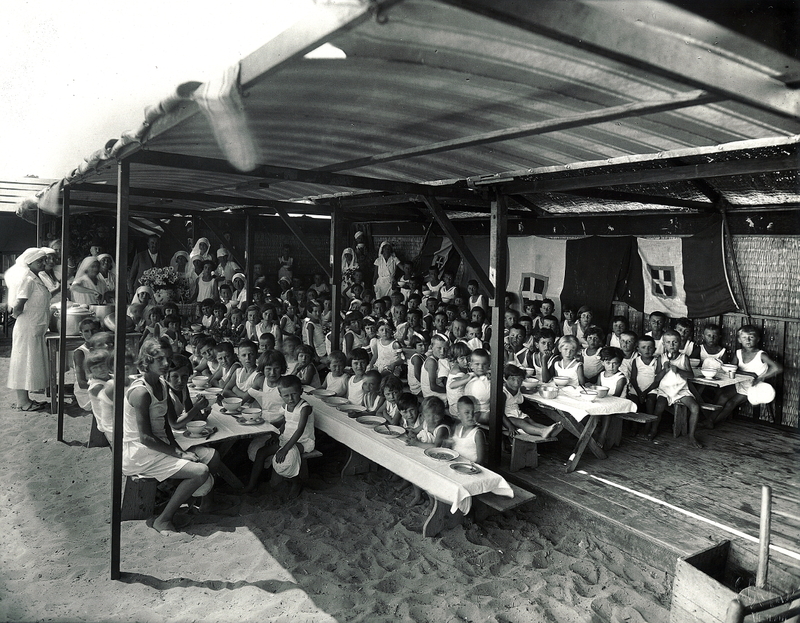 The holiday camp was set up in 1924, and was immediately accepted to be an effective form of assistance, so much so that it was renewed every summer until 1957, with the exception of the years of war. Intended for the children of the workers who were employed in reclaiming the marshy hinterlands of the Northern Adriatic Sea, the managers of the farm supported the idea, and the perfect location was found in an area of the beach at Caorle. It was hugely popular until at least the mid-1930s: one issue of Generali’s magazine il Bollettino from those years reports that there were 140 participants, primarily the children of share-croppers and farmhands. The families of Ca’ Corniani workers could send their children to the holiday camp “to draw strength and health from the inexhaustible supplies of sun and sea”. The arrangements were spartan, but ensured the opportunity to enjoy nature, play games and take part in sports, all under the watchful eyes of the so-called “vigilatrici”, or guardians. In the early 1940s there were a number of children – more than sixty – in need of the therapeutic properties of the beach. They were granted free access to the site, as the children of workers who had been called up to active service. 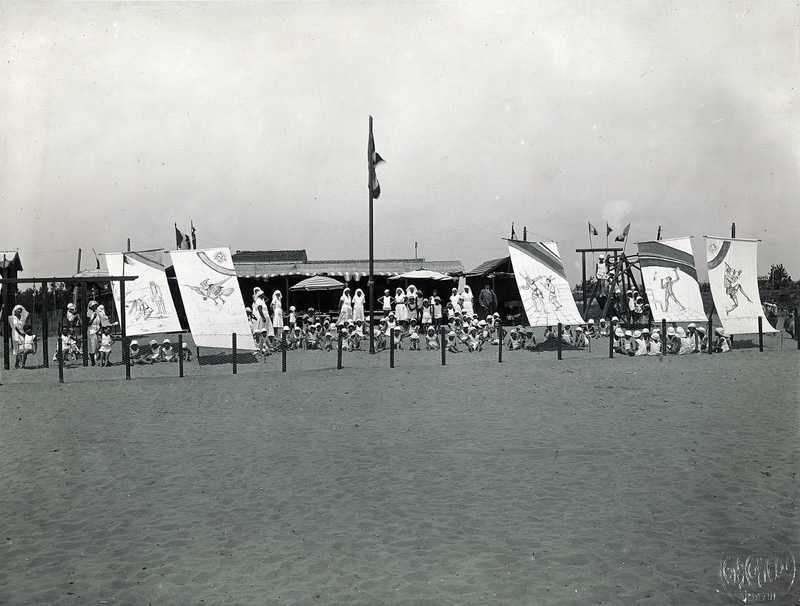 During those years, the holiday camp was seen as a patriotic initiative by the board of Veneto’s Recreational Association, a branch of the OND (Opera Nazionale Dopolavoro, a national recreational organization). 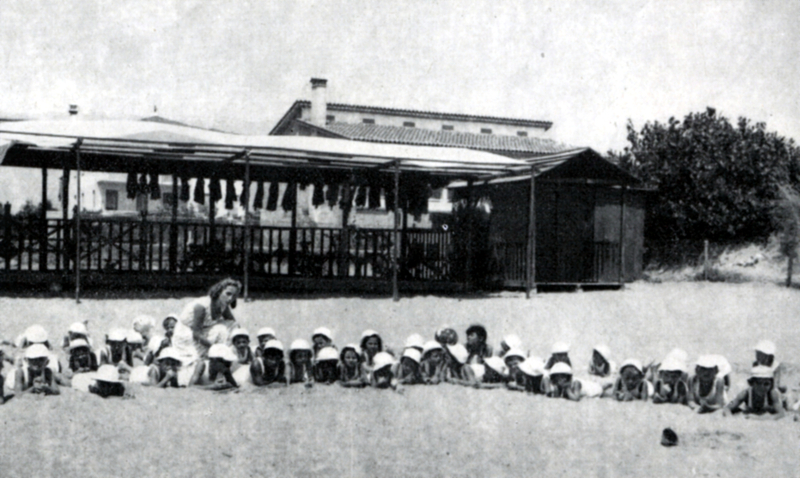 An article in the Bollettino in the late 1950s stated that the beneficial properties of the air, the sun and the water, as well as the plentiful and healthy diet throughout the duration (July 1st – August 15th) ensured that the holiday camp was still able to attract 47 children between the ages of two and five years old. The families of the farm workers continued to greatly appreciate the “health benefits to their children” of the stay in the holiday camp, until Ca’ Corniani too fell victim to the depopulation of the countryside which began in the same period, following the emergence of new employment opportunities elsewhere. As archivists – the (great)grand-children of those children – we are left with the memories in the photos from the Bollettino, which immortalised the simple beauty of a landscape which so many still enjoy today, and the modest yet heartfelt authenticity of beach holidays from days gone by.